How do we move beyond superficial diversity to leverage our differences and build thriving, equitable communities across lines of conflict? This is the challenge posed in this year’s GATHER Fellowship, the only program of its kind at the intersection of social innovation and conflict transformation. Seeds of Peace, celebrating its 25th anniversary this year, inspires and cultivates new generations of global leaders in communities divided by conflict, equipping them with the skills and relationships they need to accelerate social, economic, and political changes essential to peace. 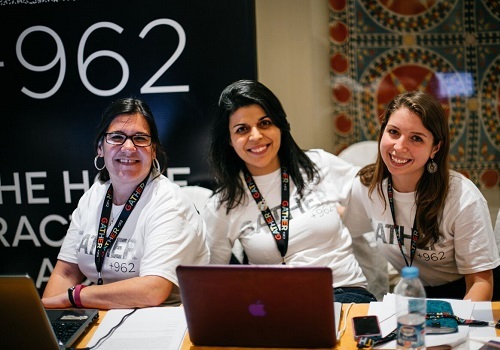 Their network now includes nearly 6,700 alumni throughout the Middle East, South Asia, Europe, and North America who are uniquely positioned to lead change, they say. In partnership with SE Forum, Seeds of Peace recently announced its third class of GATHER Fellows. The year-long Fellowship kicks off in Sweden with a five-day incubator between March 11-16, 2018, a program that includes skill building, reflection and sharing, mentorship, and meetings with Swedish parliamentarians, business leaders, and international investors/funders. The first half of the five-day program will be hosted by Sigtunastiftelsen, a 100-year old foundation near the town of Upsala, before moving to Stockholm for the final days, where they will explore how a city can authentically serve its diverse communities. The incubator will culminate in a pitch session to an audience of 150 philanthropists, business leaders, investors, and Seeds of Peace and SE Forum Board members. Beyond the Swedish program, the Fellowship will continue throughout 2018. A GATHER symposium will be held in New York City on May 8th to showcase the work of current and past Fellows, and an international convening is planned for the end of 2018. 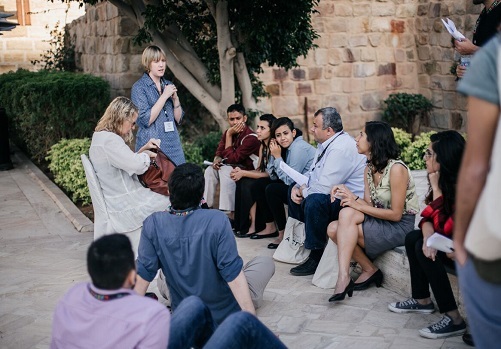 The 16 selected Fellows from the Middle East, South Asia, North America, and Europe were chosen because of the social, economic, or political impact of their ideas — including innovative and affordable energy solutions in Gaza, music-based workshops for refugees, or educational video games. Each Fellow is united in their optimism and commitment to conflict transformation, despite the tensions in their regions. There are other inspiring Fellows, too. Like Majd, a Palestinian woman tackling housing problems in Gaza. Her business, GreenCake, transforms the ash and rubble left behind after the 2014 conflict into sustainable building materials. Like the other Fellows, Majd’s project has been chosen for its profound conflict-transforming potential. Can entrepreneurship truly transform a conflict, even where the wounds run deep? This is the challenge for this year’s GATHER Fellows. Over the next 12 months, their world-transforming projects will find new ways to reach across lines and build better communities. To learn more about the Fellowship, check out this video produced by PLANE—SITE. Get to know all the Fellows here.